PIERRO (AUS) (Bay 2009-Stud 2013). 11 wins-6 at 2, ATC Golden Slipper S., Gr.1. Leading Aust. First Season Sire in 2016-17. Sire of 202 rnrs, 107 wnrs, 13 SW, inc. Levendi (ATC Australian Derby, Gr.1), Arcadia Queen, Pinot, Pierata, Action, Tulip, Arcadia Prince, Roy Had Enough, Commander, I Like it Easy, Satin Slipper, Kentucky Breeze, Octabello, SP Sikorsky, Aeecee Tong De, Furore, Poseidon's Pool, Rainbow Girl, Regal Power, Femme Fireball, etc. Whiskey Shooter (f by Sebring) 2 wins-1 at 2-at 1100m, A$78,470, to 2018-19, ATC Tab.com.au H., Win $10k Cash 2YO H.
China Gale (g by Pierro) 2 wins at 1350m, 1600m to 2018-19 in Aust. Nova Rocha (f by New Approach (Ire)) Winner at 1300m in 2017-18 in Aust. Carajillo (f by Medaglia d'Oro (USA)) Winner at 1700m in Aust. ROCHA (f Encosta de Lago) Winner. See above. Granados. Winner at 2250m, BRC Gallopers $1 Membership P., 3d MRC (Mornington) Sportingbet Best Tote Plus P.
Goyescas. 2 wins at 1400m in NZ. Producer. BLACKFRIARS (c Danehill) Third on The 1999-2000 Australasian 3YO Classification (2100m+). 4 wins from 1450m to 2500m, A$809,950, Victoria Derby, Gr.1, VATC Norman Robinson S., Gr.3, VRC Flag Choice Hotels H., VATC Boer War Centenary H., 2d VATC Yallourn Energy 2YO P. Sire. LARROCHA (f Danehill) 2 wins. See above. MANTON (c Danehill) 2 wins at 1200m, 2000m, A$217,225, STC Tulloch S., Gr.2, AJC Kookaburra H., 2d MVRC AAMI Vase, Gr.2, Newcastle JC Spring S., Gr.3, 3d NSW Tatt's RC Ming Dynasty H., L. Sire. 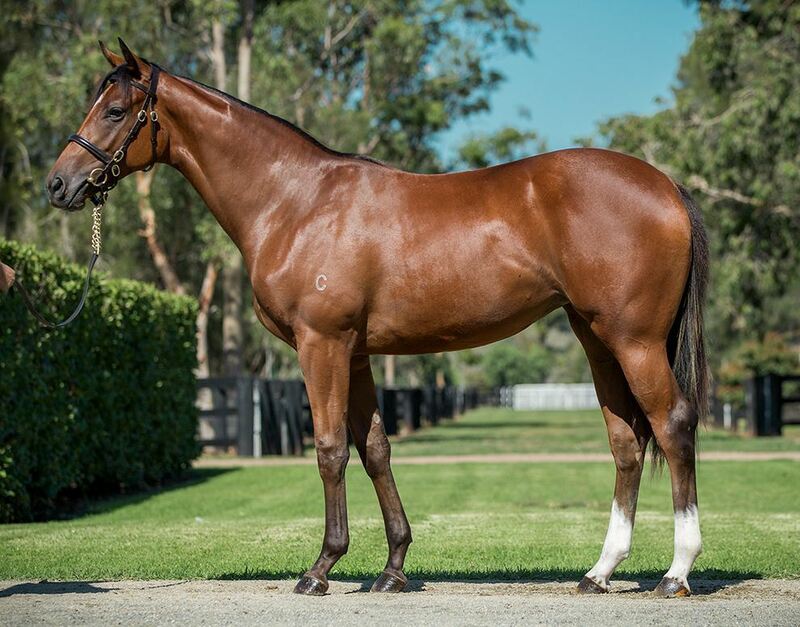 WATERFORD ROAD (c Danehill) 9 wins from 1200m to 2000m, A$273,515, QTC Exhibition H., L, Werribee Cup, L, Kilmore Cup, L, VRC Sandringham H., Don Scott H., VATC Ungar H., 2d VATC Naturalism S., L, Heatherlie H., L, VRC Nivea Visage H., Liz Davenport Welter H., VATC Hyland Sportswear H., 3d Qld Tatt's RC Recognition S., L, SAJC Lord Mayor's Mile H., L, Cranbourne Cup, L, VATC Selangor Turf Club Welter H., Independent Stallion H., 4th SAJC John D Lee S., L. Sire. LIONS GATE (c Danehill) 3 wins from 1450m to 2200m, A$160,760, Geelong Classic, L, MRC Corps of Commissionaires H., SAJC Gold Ace at Glenrae Stud P., 2d SAJC Port Adelaide Guineas, L, Hill-Smith S., L, 3d VRC Paul Buttifant & Darryl Quilty H., SAJC Distinctive Lifestyle H., MRC Brighton H., 4th South Australian Derby, Gr.1, SAJC Chairman's S., L.
Khutulun (f Soldier's Tale) 8 wins from 1200m to 2000m, A$493,585, to 2017-18, MRC Big Screen Company H., Routleys Bakery H., Carol Kelly H., Askin H., 2d MVRC 1print Vobis Gold Star P., MRC ALH Group H., VRC Wilson Medic Rising Stars Final H., TAB Spring Cup, 3d MRC Lord S., L, LU Simon Builders H., Ladbrokes H., Thurgood Family P., Arvanitis Philanthropy H., VRC Tauto H., MVRC Ranvet H.
Kensington Gardens (f Grosvenor) 4 wins. See above. Kremlin (c Prince Echo) 4 wins-1 at 2-at 1400m, VATC Limerick H., Montrose H., 2d VRC Spring Classics Preview H., L, 4th VATC Schweppes Cup, Gr.3.